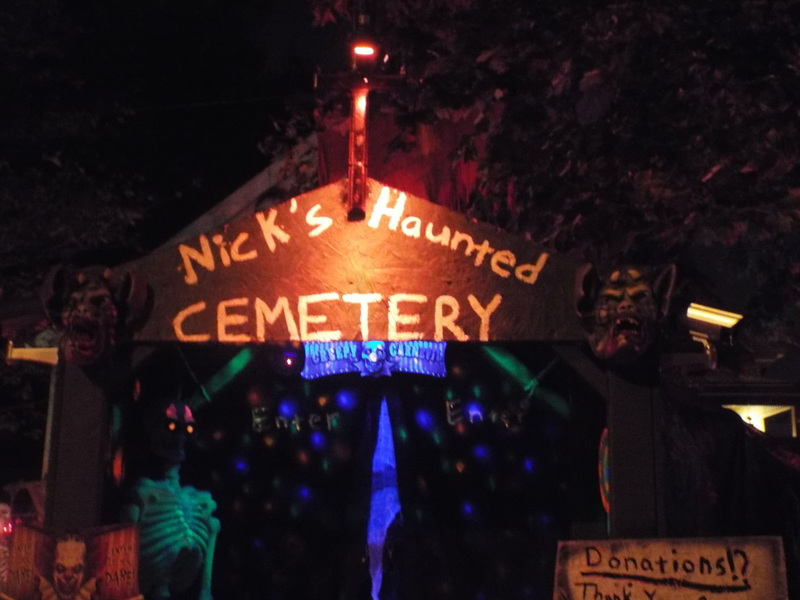 Nick's Haunted Cemetery has been around for a few years, but its name seemingly changes all the time, so we have a hard time keeping track of it. 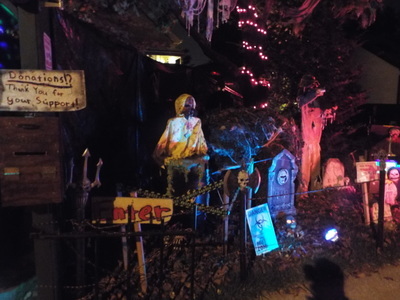 Each time we think we're visiting somewhere new, we pull up and say "oh, we remember this one!" 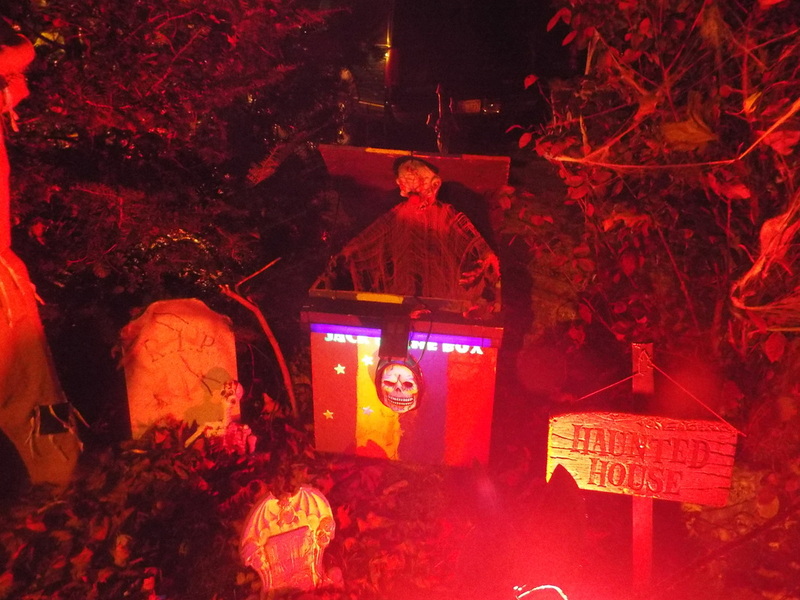 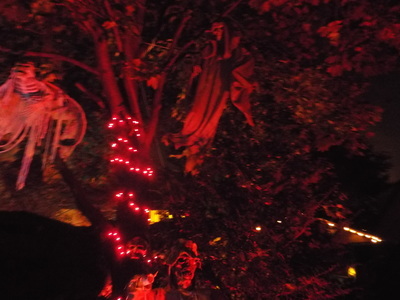 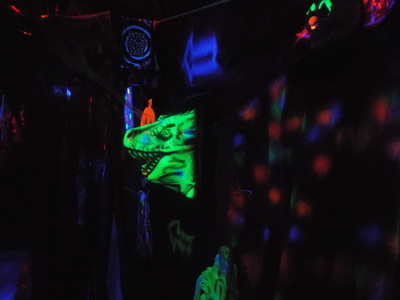 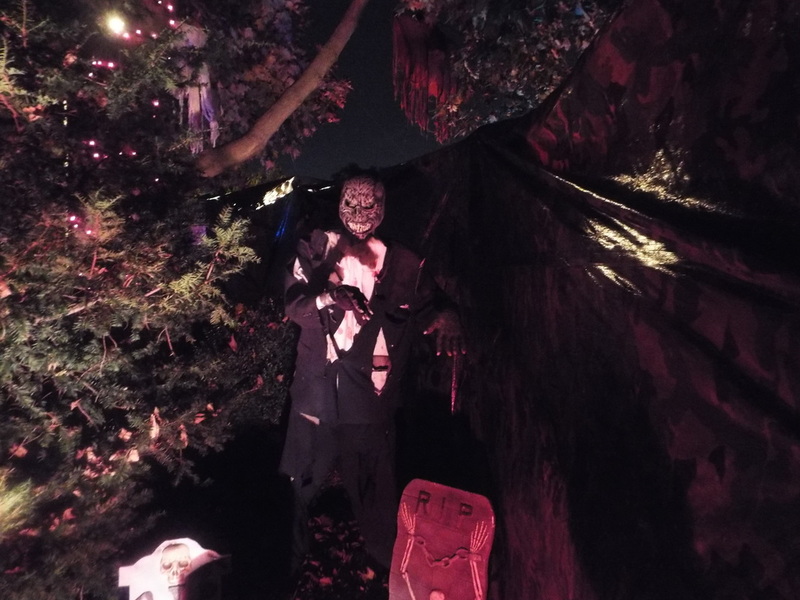 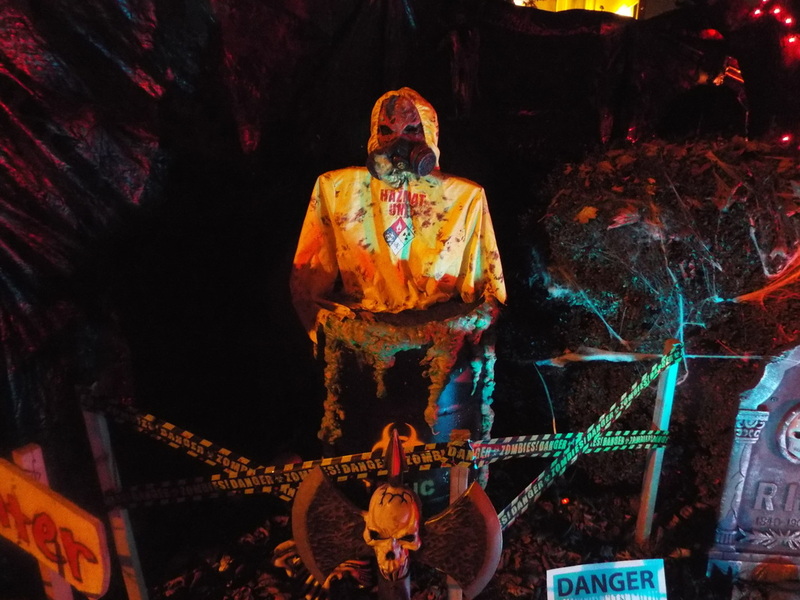 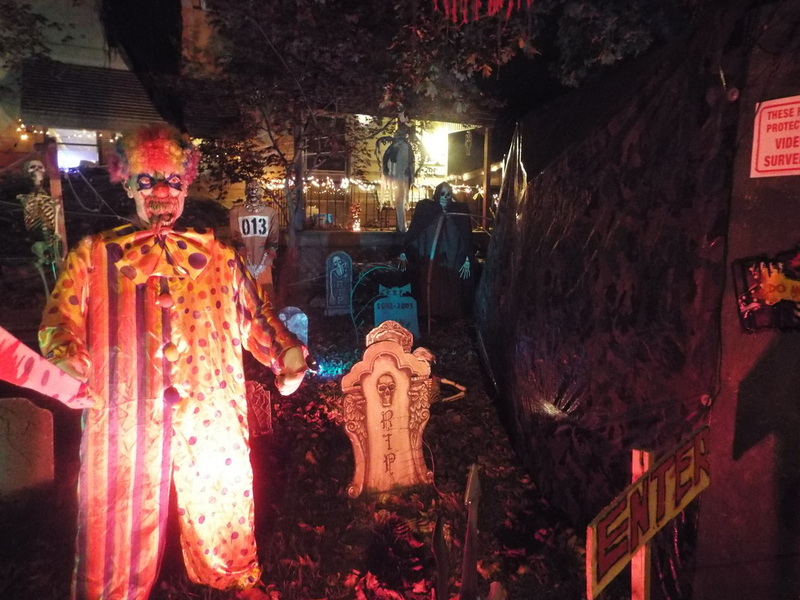 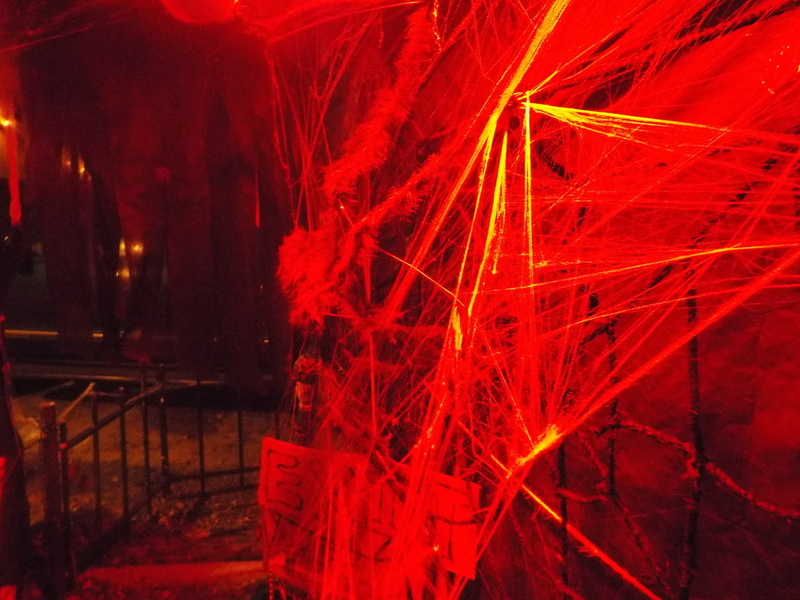 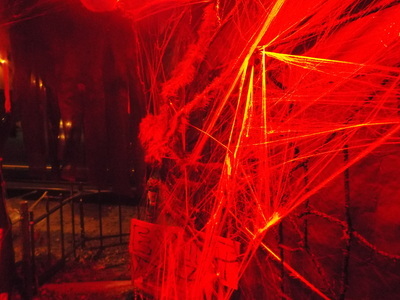 Operated by a rather young haunter, Nick's offers a front yard filled with various props of all types, as well as a mini walkthrough that leads up to the front porch of the property. On certain nights, live actors also show up to terrorize visitors. 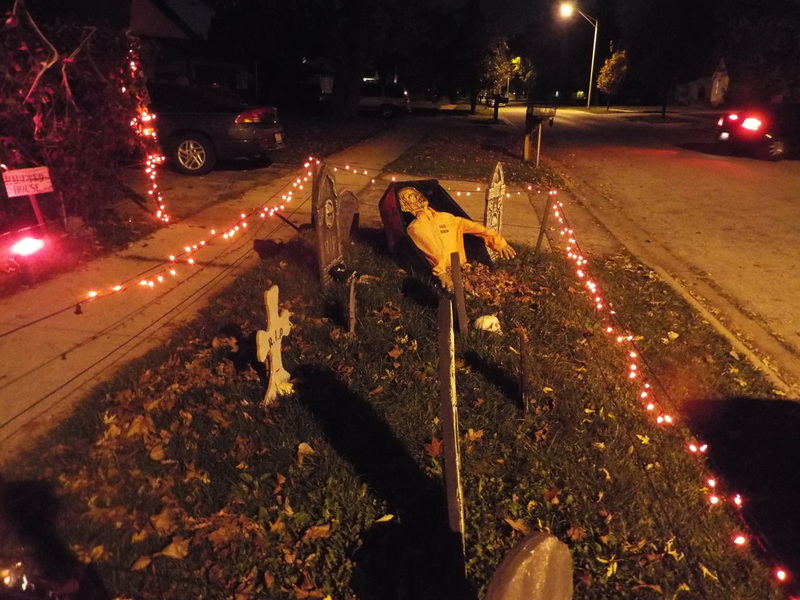 This year we have to say was the best year yet. The walkthrough was very brief but creepy, and filled with little surprises that kept it interesting, while the props on the lawn were varied enough to hold our interest as we took them all in. 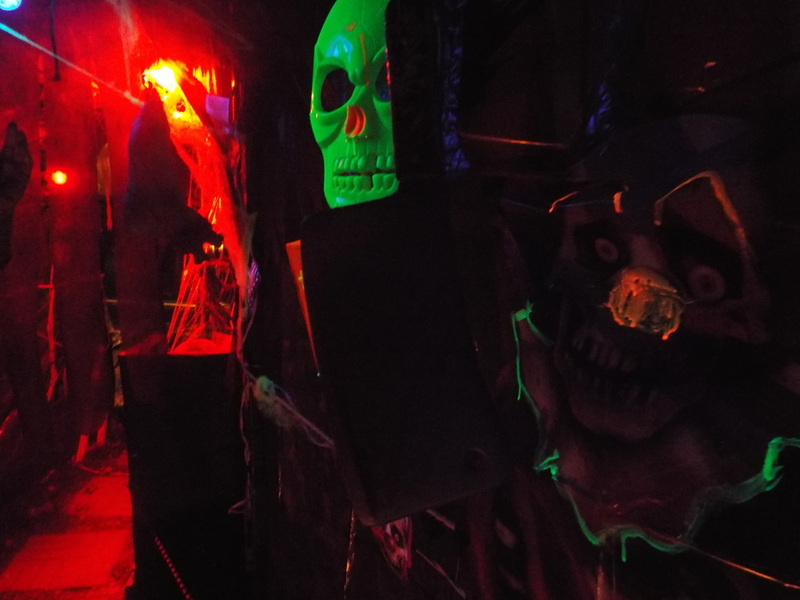 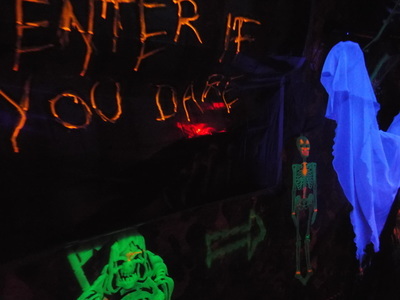 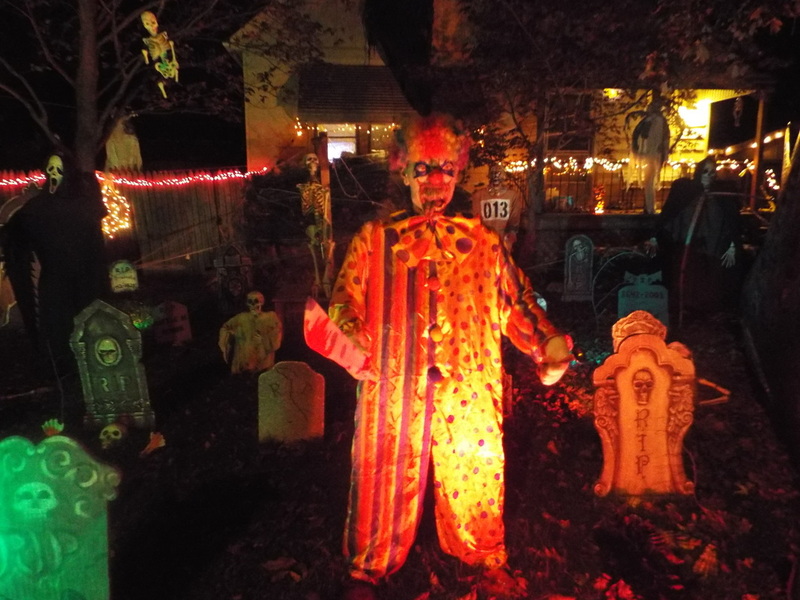 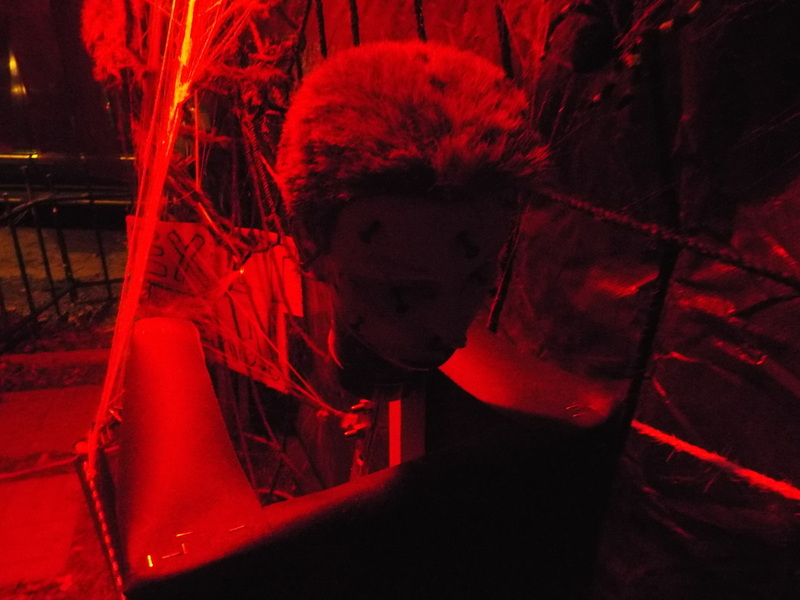 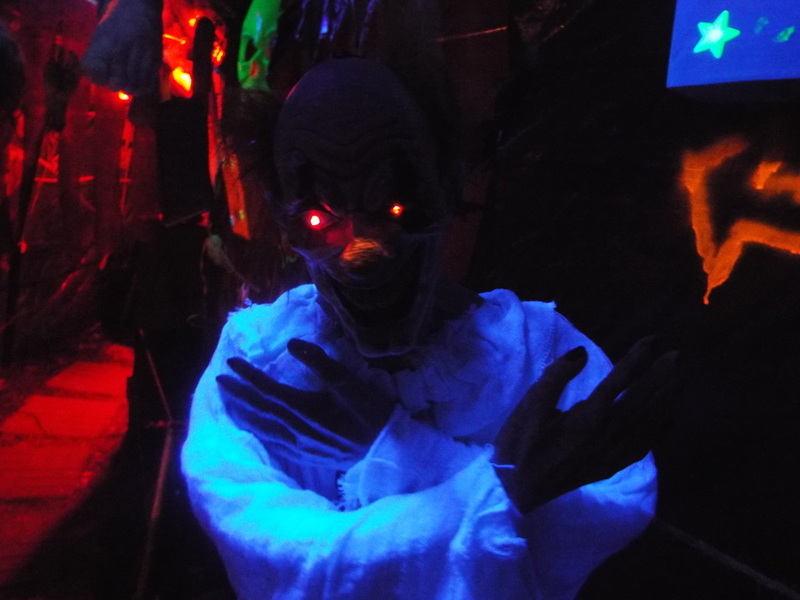 Although the props covered a variety of themes, from zombies to radioactive men to skeletons, a clown theme also ran through the entire setup, particularly in the walkthrough. 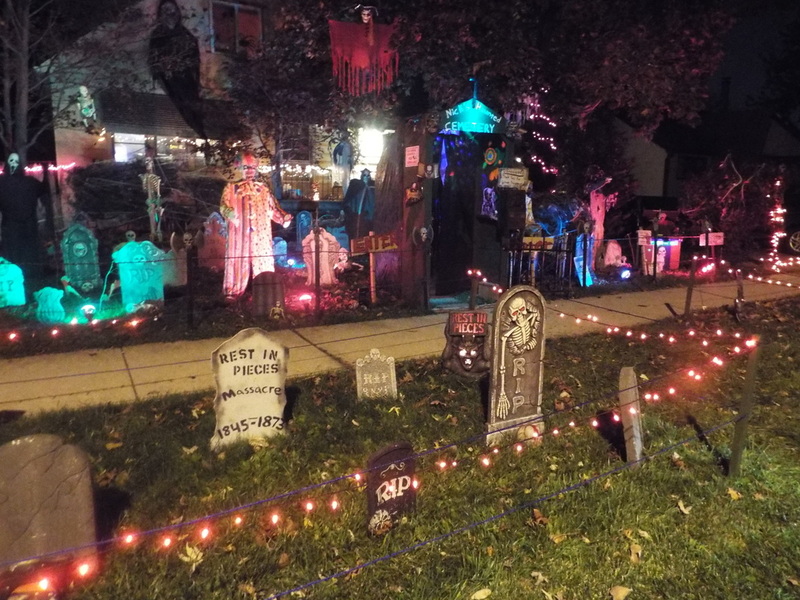 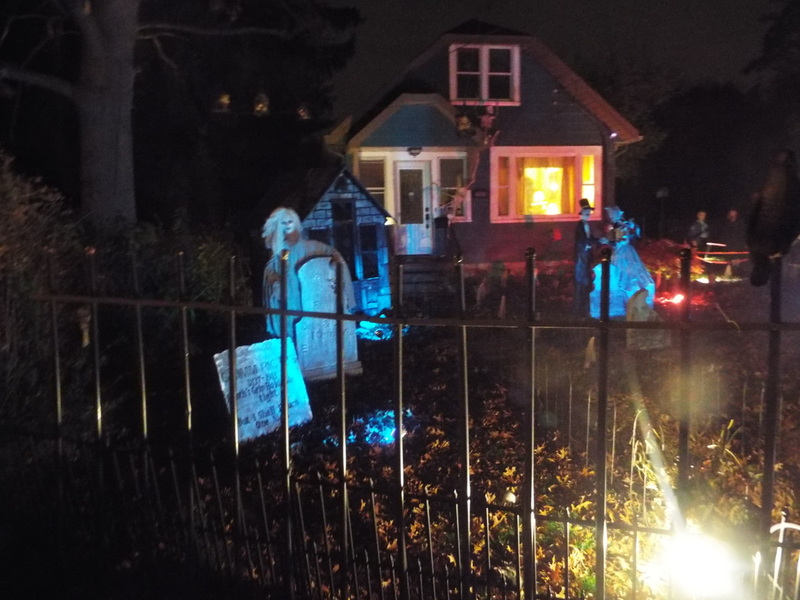 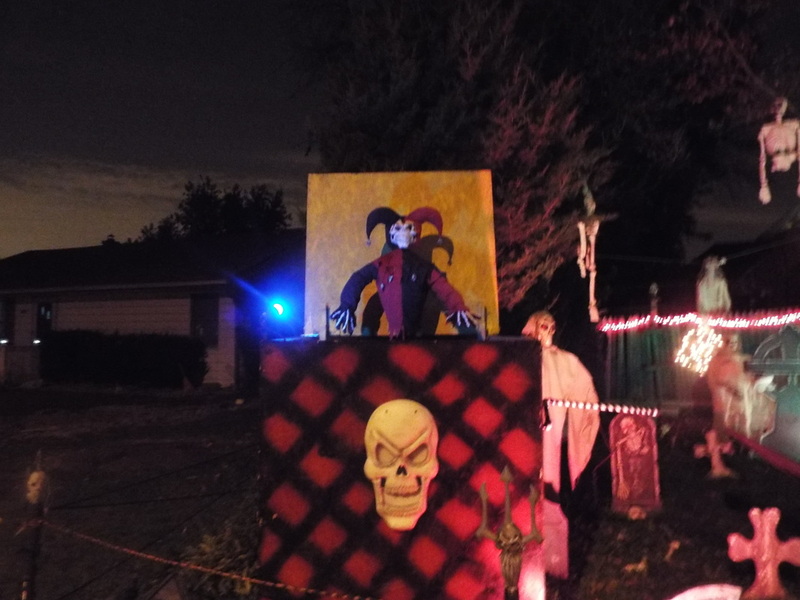 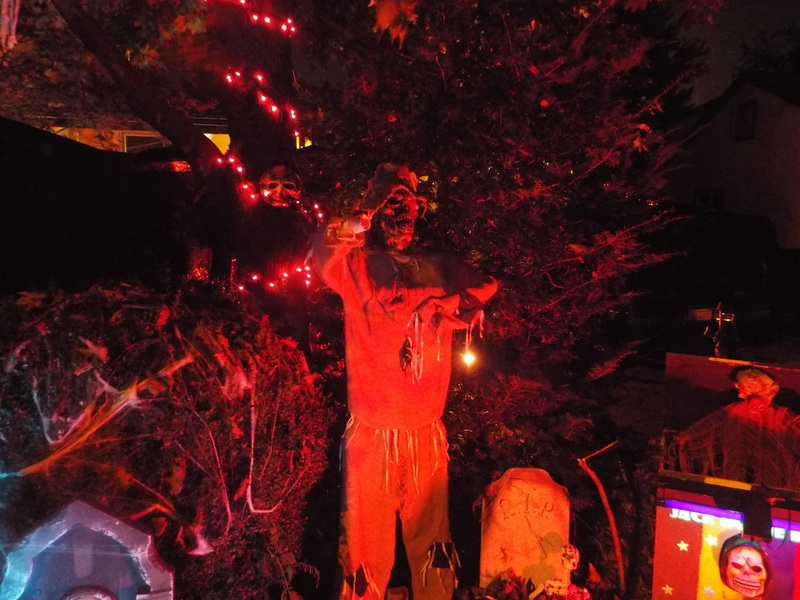 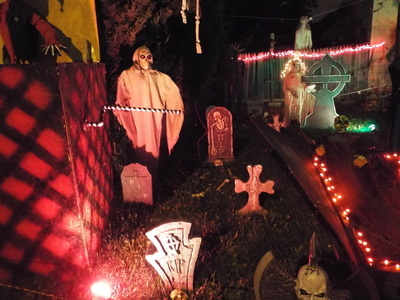 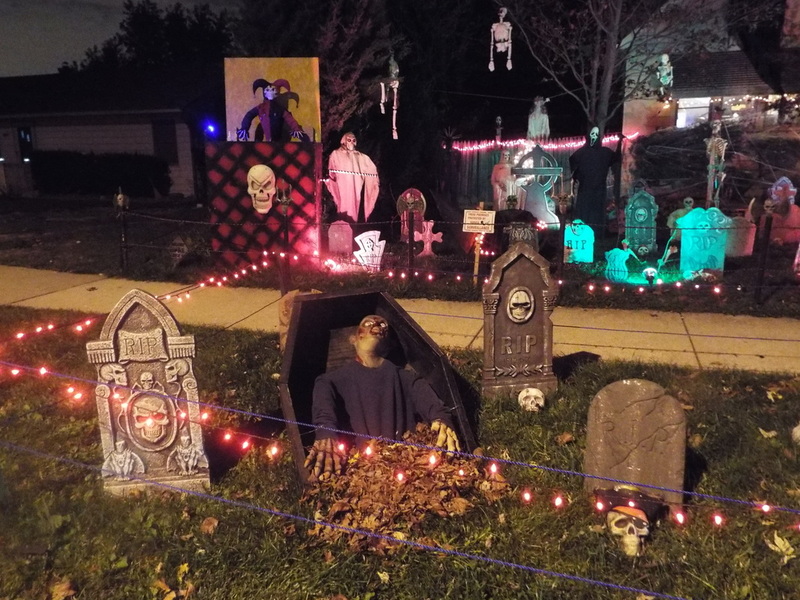 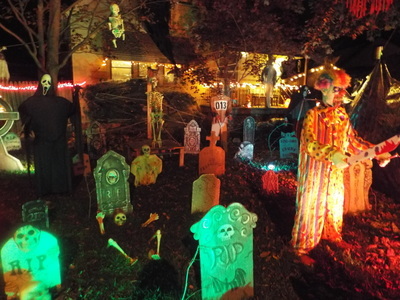 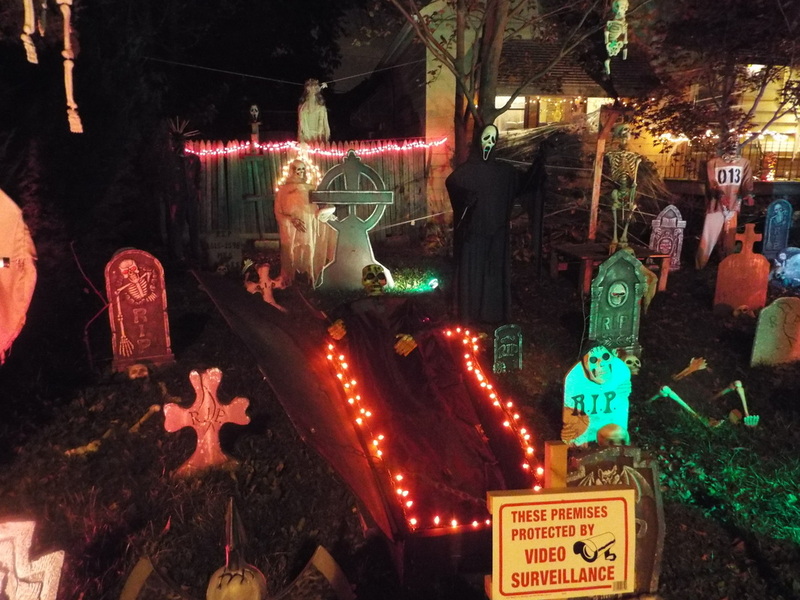 For those looking for a nice grouping of haunts and yard displays in a small area, we'd recommend hitting the Oak Lawn/Burbank area as you'll be able to visit multiple locations all within a few miles on of another. 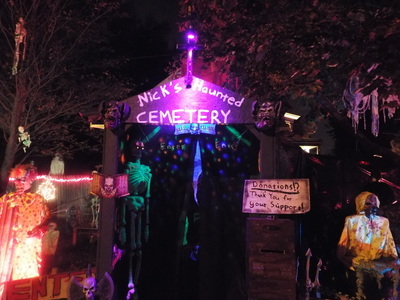 Check it out this year for sure!